what!? did you do that? I didn't do it this occasion, but i did it for PRO-Before and TN, works every time now. I'm a 6.20 pro-before permanent user, should i uninstall the permanent patch first or i can go straight to pro-b5 updater? 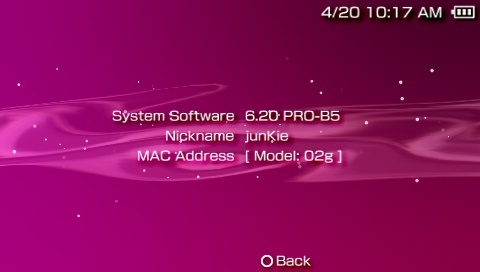 (20/04/2011 08:51 AM)eznoir Wrote: I'm a 6.20 pro-before permanent user, should i uninstall the permanent patch first or i can go straight to pro-b5 updater? I went straight to the updater. No problem. i tried it using another memory card(completely formated) but it still doesn't work! Sorry, there's no TN-E Perm. Patch.